I absolutely adore Christmas music (though I only listen from Thanksgiving to New Years haha), so I was excited to come across this tag on Madame Writer’s blog. It was originally by The Artsy Reader Girl. I have a lot of favorite book couples, including Lizzy and Darcy from Pride and Prejudice and Eowyn and Faramir from LOTR. But this said “bookish,” which makes me think nerdy, so I’m going to go with Anne and Gilbert from Anne of Green Gables. Among other things, their relationship is built on academic rivalry. This image is from the marvelous 1980s Canadian TV adaptation starring Megan Follows and Jonathan Crombie. One of my favorite scenes is where Gilbert gives Anne a standing ovation after she recites “The Highwayman.” He’s always so proud of Anne’s intelligence and her hard work. 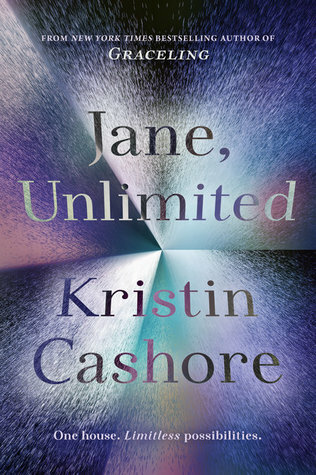 Jane, Unlimited is a unique speculative fiction story that relies on a classic premise: an orphan travels to a strange mansion. Very gothic! Jane is visiting Tu Reviens, the large and intriguing island home of her friend Kiran, where everything from art theft to alternate dimensions may be happening. 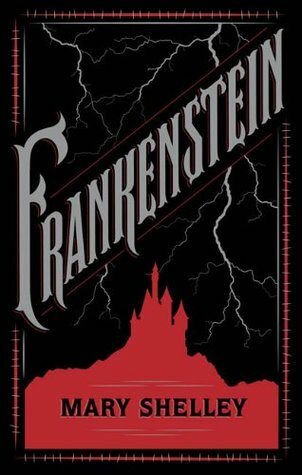 The premise is reminiscent of Jane Eyre as well as Rebecca, but spins off into an interesting type of choose-your-own-adventure story. 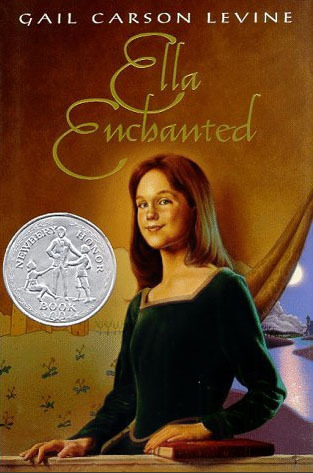 Ella Enchanted, a classic middle grade Cinderella tale, is one of the books that inspired my love of fairy tale retellings. 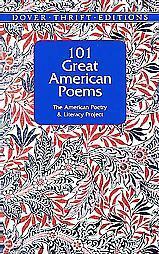 It is on the bookshelf next to my bed, along with 101 Great American Poems, which I think was a gift from my mother about fifteen years ago when I was in high school. I have read both countless times, and they are great for when I want a quick, satisfying read before bed. 4. “Santa Claus is Coming to Town”: What book(s) do you hope Santa brings you this year? I have a lot of books on my wishlist, and my family always gets me lots of books for Christmas. 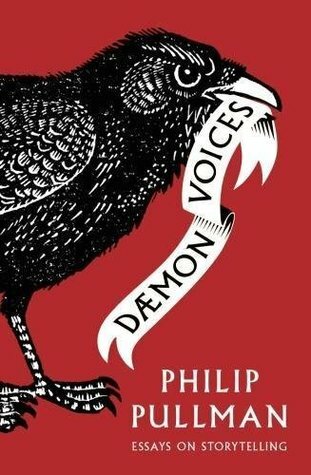 One I’m really looking forward to is Daemon Voices, a collection of essays by the author of His Dark Materials, Philip Pullman. I scared my husband when I was reading The Book Thief because he looked over to see me silently sobbing with huge tears rolling down my face. “What’s wrong? !” he said. Oh nothing, just this book broke my heart into pieces. What a beautiful, powerful book. 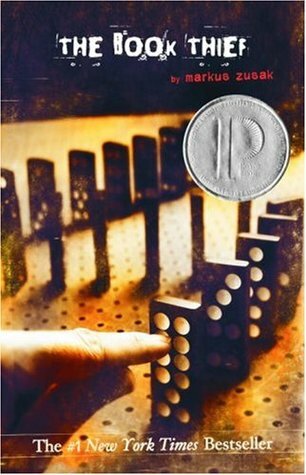 Narrated by Death, it’s the story of a young girl in Nazi Germany who steals books. In my Seasonal Reads blog series, I mentioned that I frequently read The Dark is Rising during December. It’s full of both warm and cozy Christmas cheer as well as ominous Yuletide magic. I love the whole series, but this one in particular is my favorite. I also love Christmas cozy mysteries and Regency romances. 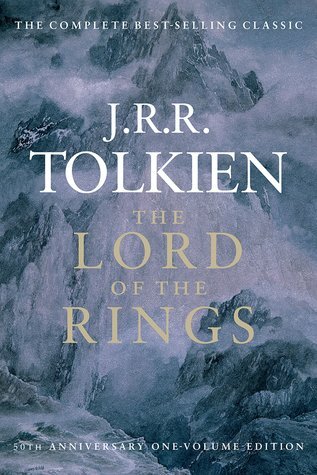 I’m going classic for this one: Tolkien’s Lord of the Rings trilogy, which I first read in high school, right when the movies were coming out. It’s still one of my favorite series. Trilogies are very standard nowadays, especially for YA fantasy, and I think that can be traced back in part to LOTR. If I were snowed in, I would want Hercule Poirot of Agatha Christie’s mystery series to be one of the party. Because inevitably there would be a murder, and then we could rely on Poirot to solve it! I’m imagining something like the premise to Christie’s play The Mousetrap, which places a bunch of guests trapped in a manor inn together. But luckily Poirot would be there to solve the crime before any further murders take place. Plus Poirot is just a genial guy. Sometimes I hear about YA books that are getting a lot of hype and figure I should check them out. Spoiler alert: they don’t always live up to the hype. 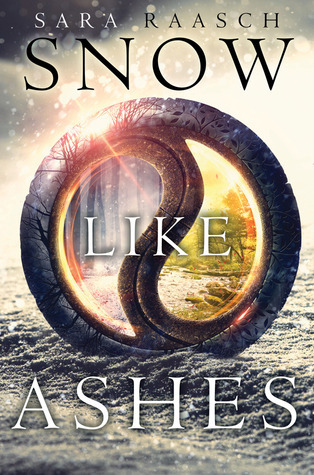 That’s how I felt about Snow like Ashes and An Ember in the Ashes (maybe I should just avoid books about ashes?). The first books in the series were fine, but nothing spectacular, and the follow-ups got less interesting so that I didn’t continue on with either series. Well, I don’t believe that The Winds of Winter will be released next year, and Peace Talks also doesn’t have a release date as far as I know, but there are a bunch of YA fantasy book by favorite authors coming out next, including King of Scars by Leigh Bardugo. 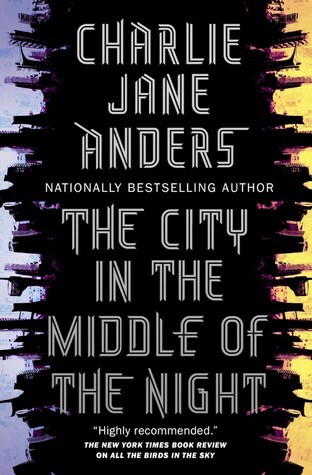 I’m also looking forward to The City in the Middle of the Night by Charlie Jane Anders (sci-fi) and A Brightness Long Ago by Guy Gavriel Kay (historical fantasy). Do you guys have favorite Christmas song? I love all the old carols, especially obscure ones or ones in foreign languages. And my favorite Christmas album is John Denver and the Muppets: A Christmas Together. Another great year of books is behind us. As usual, I read a lot of YA fantasy, but I also read a good mix of other stuff, too (partly thanks to the bimonthly GeekyNerdy Book Club). There are also a few other genre books that really stood out, but I haven’t gotten around to reviewing them yet, so I’m making some space for them here. This was hands-down my favorite series of 2016. I wrote previously about the first book, Six of Crows, and I’m now here to tell you that the sequel, Crooked Kingdom, is an immensely satisfying conclusion. The characters are still amazing, and continue to be challenged in new, different ways. The fantasy aspects also continue to be developed. It’s not an entirely happy ending, but there was never going to be a perfectly happy ending to this story, and honestly it was happier than I was expecting. 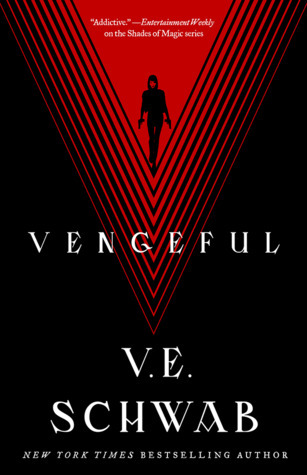 I’m even considering buying the hardcover set, which I never do, because the books themselves have the pages edged in color: black for the first and red for the second. 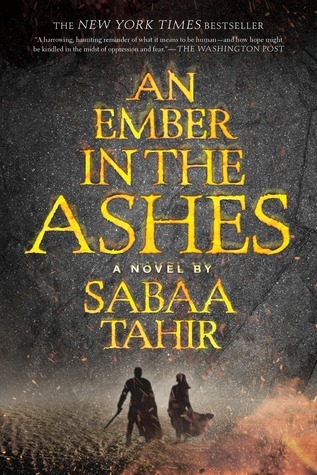 If you like YA fantasy, grey characters, and complex plots, this one is for you. 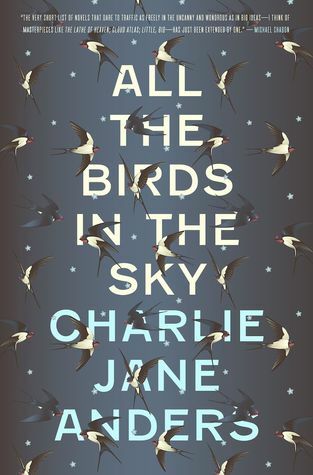 There has been so much buzz around this book since it was published last year (it was nominated for a Hugo and won the Nebula), and I was not disappointed at all. The story is a kind of original fairy tale, eastern-European inspired, and walks the line between YA and regular adult fantasy. The main character Agnieszka is “taken” by the local lord, called the Dragon, and is eventually trained by him as a magical apprentice to help defeat the evil Wood. There’s plenty of magic, and although the magic system is not well-defined, the book does give us an interesting sense of the different methods of working it (the Dragon is more precise and scientific, while Agnieszka works more based on feel and intuition). There’s also a great female friendship at the core of the story, and some romance—it wasn’t my favorite ever, but I thought it was done well for the story. The Wood is a surprisingly good villain, and the story’s resolution seemed very fitting. Even after everything that’s happened, Agnieska can still empathize with the Wood and tries to work out a solution for everyone’s benefit (it’s very Wonder Woman ^_^). Also, I pictured the Dragon as looking like Rumpelstiltskin from OUAT, so there’s that. I’ve been reading CJA for years, as one of the founders of the website io9.com; her movie reviews are the most entertaining I’ve ever read (some of my favorites are Transformers: ROTF, Gods of Egypt, The Force Awakens, The Martian, and The Huntsman: Winter’s War). 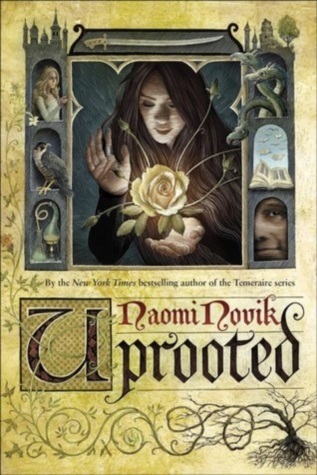 I also loved her short story (and Naomi Novik’s) in our recent GeekyNerdy Book Club selection, The Starlit Wood. So it’s safe to assume that I love her writing style, and it definitely carried me through this story, which was wonderful and memorable, though perhaps not perfect. A witch girl and a tech-genius boy grow up together as school outcasts, grow apart, then meet again as adults, which is convenient because one or possibly both of them need to save the world from near-imminent destruction. I loved that there is both fantasy and science fiction mashed up here. It was fascinating to me that the witches would have destroyed humanity to save the planet, while the scientists were willing to risk destroying the planet to save humans. It was nice to see scientists wrestling with ethical questions, too. 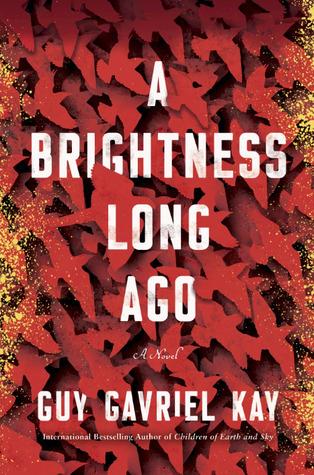 Overall, this book is a little weird, which is why I loved it. The narrative is a bit uneven, but you just kinda have to go along for the ride. Here’s to more great books in the new year. What books did you enjoy most in 2016?